Books are my escape from reality. They do not judge me and I can be with honest with them, like they are with me. This book was awesome. It was really enjoyable, fast-paced and you could easily read it in one sitting. At the beginning of this book, you have two exiles - Meghan Chase, the Summer princess and Ash, the Winter prince. After they brought the scepter back to the courts, the fey exiled them because they didn't want to stay away from each other. But, as much as they hoped they would finally have a normal life together, it turned out the Iron fey didn't want to leave them alone. Once again in the face of battle, Meghan has to prove her powers which turns out to be difficult when you're allergic to yourself. 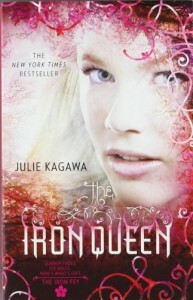 She's the true Queen of the Iron fey yet the false king seems to take her right and calls himself the true successor. War, action, survival and love. This book will always keep you on your toes no matter where you go. I loved it, read it in one sitting and definitely didn't regret it. Julie Kagawa once again inspires me with epic faery tales and storytelling. 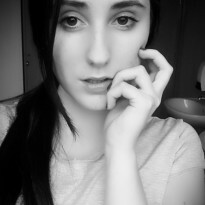 She created a world so beautiful and hauntingly terrifying that swallows you and doesn't let you go. Her writing style was one of the best I have ever seen. So simple yet complicated at the same time. This book is definitely worth the read. 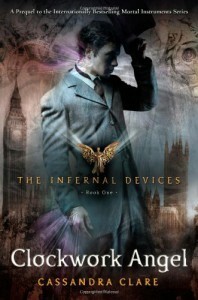 The Infernal Devices series is definitely one of my favorites for so many reasons. Not only do you FALL in love hard, but you also become a part of the fandom before you even realized it. Go, Shadowhunters! Okay, let’s start with the actual review, shall we? We followed the life of Tessa Gray, who’s from America. She moved to Victorian London in hopes to find her brother after her aunt died. There, she’s met with Mrs. Dark and Mrs. Black – everyone called them The Dark sisters – who just happened to be warlocks. They told Tessa her brother sent them but it turned out that her brother was nowhere to be found. And that’s how everything started. Tessa found out she wasn’t who she thought she was, she had to go through some really traumatic experiences and in the end, she still looked like a strong, well-meaning woman who fought for what she thought was right. Tessa’s character development through these books could be seen, but right now, I’m going to focus on Clockwork Angel. At first, I felt bad for her because she was new to London, she didn’t know where to go and just seemed donwright clueless. But when we skip a few chapters and when she meets William Herondale, a Shadowhunter, you could see who she truly is. She is funny, witty, a bookworm like me and has a very kind heart. Loyalty is one of her best features. This book gives us some kind of a love triangle. And out of all triangles that ever existed in books, this one was my favorite. You see, in other books, you grow to dislike one character while completely falling in love with the other. But in this case, two male characters were introduced to us in a hauntingly beautiful way and you couldn’t help but like both of them. While other people still managed to choose sides, for me, that was impossible. Okay, I feel like I should mention why I think Tessa’s so badass. Here’s why: Tessa, the innocent girl, was also the person who reminded Will that hell was frozen while they both were running for their lives. Tessa who has proven to be extremely loyal and brave, often put Will in his place when his ego was over the top. Loving and caring Tessa, who was afraid but did not let that fear take over, sacrificed more than should ever be asked of one person, but she did it anyway. To me, Tessa’s such a strong character with strong emotions and clear mind. She knew exactly what she wanted and I think that kind of a character was extremely hard to write. Okay, we shouldn’t forget about James Carstairs, also known as Jem. He, unlike Will who left his family to move to the Institute, was an orphan. He was born in China, to his British father and Chinese mother. He was raised at the Shanghai Institute, which was run by his parents. Then, the Institute was attacked by a Greater Demon. His parents were killed, but he was tortured and poisoned with yin fen, a drug to which Jem became addicted to and could not live without it. He was one third of the love triangle. Jem, overall, was a loving character. He was a sweetheart and cared for everyone in this book. Although he was sick, he managed to fight and protect his friends who were now his family. Will was the person who I really liked because of his cockiness and humor. His arrogance was just perfect, but I didn’t like that he was pushing Tessa away. He wasn’t mean to her like you would see in some books, oh no. His arrogance was quite humorous. He was a nice change and always managed to make the book a little more interesting. But on the other hand, there was Jem. Oh, sweet, loving, protective, reliable Jem. He is the person I fell in love with from the moment he was introduced to me as a reader. He stole my heart from the beginning. Just like Will. Right after reading this book, I couldn’t stop myself from reading the next one and rating this one five stars. Thank you, Cassandra Clare for making me feel things I never felt before because as a reader, I got so into this book, I cried with Tessa, smiled with her and felt every single thing she felt and also, as a young author in progress, I think that’s one of the best things an author can give to a reader.